After a teaser period of almost 6 months, Pele Sports are back with a football boots creation that just might surpass your expectations: the Pele Sports Trinity. Yes, that’s right – after being teased with a mysterious press release that came out of the blue in May, the' Pele Sports Trinity is now not only an actual, real physical thing – but they’re actually pretty impressive at a staggering 158g! The first ‘top-level’ Pel' Sports football boots to feature a synthetic upper, the' Pele Sports Trinity does away with the hyper-treated leather of the 1970, instead focusing on a new synthetic ‘speed’ direction. Whilst the upper of the' Pele Sports Trinity is certainly pretty cool (those grooves throughout the boot are so Mercurial Vapor II), these new football boots‘ real selling point is in the soleplate. Using the specially-designed Trinity stud-mapping system, Pele Sports claim these football boots studs are revolutionary; safer, more comfortable and faster than your average screw-ins. Our unique stud mapping technology has resulted in individual stud configurations, that together optimize foot muscle function and enhance propulsion. Each stud has been carefully sculpted to increase ground penetration, reduce turf resistance and most importantly minimize injury risk explains Greg Lever Keefe, Head of Design for Pele Sports. The Trinity stud mapping system paves the way, for a completely new experience of instant ground contact, high velocity release, excellent traction and explosive acceleration. The highlighted studs collectively represent the advancement of each area of the foot as it flexes and rolls working simultaneously to dissipate force and improve grip. Ezio Margiotta, foot and ankle specialist at Pele Sports, describes the health benefits for each individual player, “the Trinity will take positive physical impact of a boot and takes it to a new level. Weighing only 158g per boot – the Trinity is a real contender in the speed market and rest assured we’re going to have all the details on these new football boots very soon when they come in for testing! 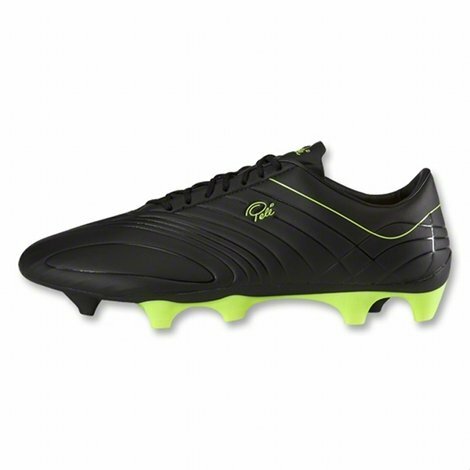 The Pele Sports Trinity is priced at $199.99 and available for pre-order now on the US Footy-Boots.com store for a Late November release, with European and Rest of the World pricing still to be announced. 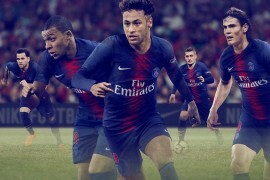 In the mean time, what do you think to the new Pele Sports Trinity? It should be very intetesting to see what shape the studs are. It’s a known fact that blades do give you more grip but your jOints take the load where as conical studs your muscles take the load. Under armor who two my knowledge was the first company to bring out trianglar shaped studs which it the best of both worlds. They have great traction for acceleration and still have good rotational movement/give. 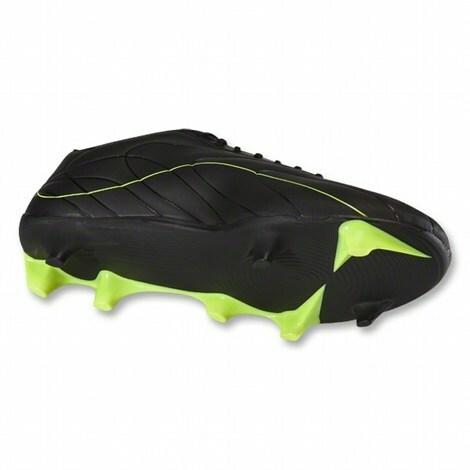 The adizero are a cut above the lightweight boots not only due to the weight but the shape of there studs. One last thing the pele brand has copied is the heel raise which are now as standard and have been on ASics football boots for some time. ASics stud configuration on there lethal tigreor 3 it is very intetesting and alot of research has gone in to it. 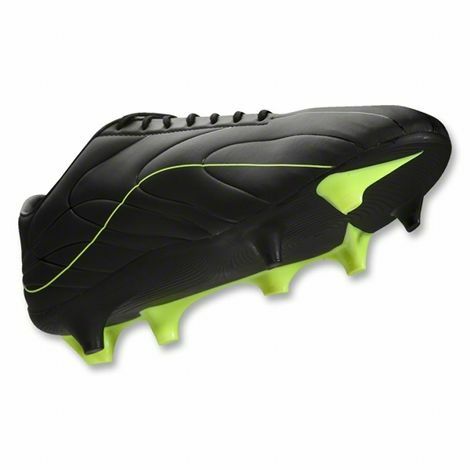 like footy -boots already said, if the boot isnt gonna compete with the adizero prime or puma sl then it shouldint even bother since there first boot wasnt highly rated, so if they dont challenge any major speed boots, there gonna need wings or somthing and still in a decent price catergory to sell. The most important factor with studs is not the shape (conical or triangular or even bladed) but the length of the studs. For example, Asics Tigreors are designed in Australia which has harder grounds than Europe so the studs are designed with a shorter profile. The benefit is better performance and feel on hard grounds. The down side is not quite enough grip in wet muddy conditions. The same logic applies to all boots. 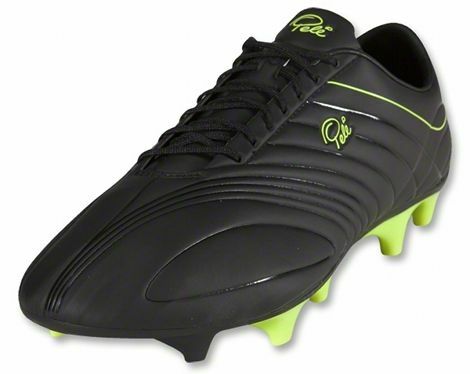 The original Copa studs do a fine job, most studs nowadays with different shapes are just gimmicky and for appearance. i have to agree and disagree. yes stud length is important but that is why they have different forms of studs. AG,HG,FG AND SG. i presume they will be designing a fg soleplate as sg studs will never change as there isn’t anything wrong with them. 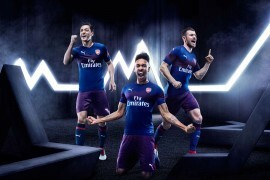 as i stated before bladed are not good for the joints and physios in the football world have tried to get them band but the sells of them is to great so the brands like nike and adidas refuse to discontinue them. ive had two physios who work in the football world state this to me many times. at the moment trianglar studs are the way forward. the asics tigreors hold up well on wet pitches. antonio di natale wears them and i never see him slipping on the pitch. All top flight pitches are watered before and during halftime. im interested in where they got the info and research regarding the “standard stud configuration” is dated and slows the players dwn. As for the boot, looks good from the picture, but once a picture of top is released, we’ll get a real idea. The first boots weren’t a speed boot, but the most comfortable boots I have ever worn! Everything I have heard about the Trinity is certainly interesting… Are there photos yet? When will it be available? I must confess the Pele Sports Football Boots look nice then I expected. I like the fact that this boot is a bit different. The studs system does sound pretty neat. Until you give a test and review we can’t decide whether it’s a boot as good as they say though. Yeah it does look an interesting cleat. I like the look of the upper material, and the soleplate.I also like the plain black intro colourway. All looks positive, when are you gonna do the boot test? i bet this is another case of a new brand trying to get in the market and blowing all the marketing money before they go bust. And why Pele, he hasnt kicked a ball in decades. Looks pretty cool but its all hype until we see how it gets on in your review. dont like them they look pretty cheap. they will sell at a high price id imagine to? I agree these look interesting. Any players wearing them in Europe yet? Pretty neat, what would you say is the chances of this cleat being a hit? Like the others have said, dont buy the cleats until they have tested them. Its all hype IMO. They do look neat though. Subtle, stylish. Three wears and they are already coming apart !!! Great boots best I have ever put on my feet but if they fall apart after three games are they worth it ? Customer service is terrible and they never get back to you .